Join us at Gallery 263 for another Open Mic Night! Invite your friends and share a couple of songs you’re excited about. All ages, free to perform and attend; donations accepted. This is an acoustic open mic, so just bring your acoustic instrument(s) and yourself. 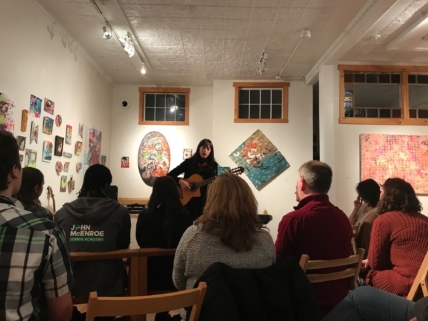 Gallery 263 provides an intimate gallery setting for emerging musicians. As always, expect talented musicians, great acoustics, and a supportive audience.